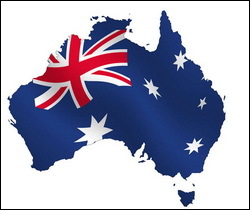 December 14, 2015: Congratulations to our mates down under as new Australian customs regulations go into effect that removes “flipper knives” from the list of knives (in Schedule 13 – table item 14)) that are banned from import into the country. This was the regulation cited in recent years by Customs inspectors to prohibit many one-hand opening knives from being imported into Australia. While “assisted opening” knives remain banned, as do automatic (switchblade) knives, daggers and others, this hard won change is huge for Australia’s knife owners and collectors.